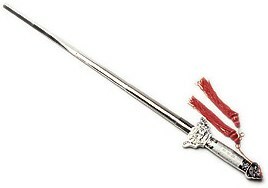 This beautiful chrome plated metal sword measures 36 inches open, but collapses to a mere 10 inches in length. Produce this sword anytime easily during your routine. The audience loves it!